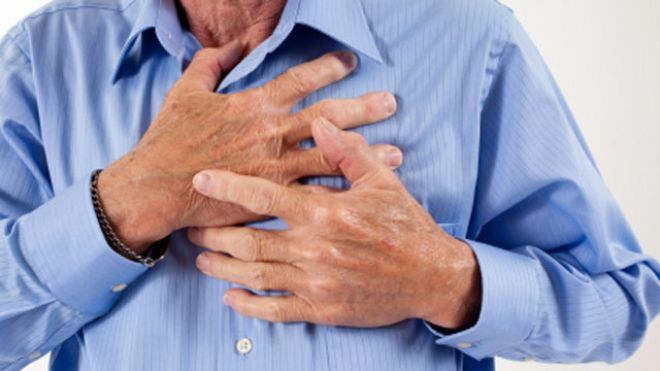 Could you tell if you were having a heart attack? air, the clasping of hands over the chest, and pain so severe the victim collapses to the floor. compared to two hours, on average, for those who exhibited more dramatic signals. pre-presentation sweats, but if you have no reason to be sweating up a storm, it could be a red flag. a heart attack is imminent. The key here is that the signs come on suddenly—seemingly out of nowhere. A re-search found Women must do exercise during Pregnancy, Why? “If this minimal amount of activity had an impact on the brain, it is impressive,” says Dr. Rebecca Starck, the regional director of obstetrics and gynecology at the Cleveland Clinic, who was not involved with the study. “My lab has been looking into exercise in kids and the benefits for their brains and in school for a while now,” says Élise Labonté-LeMoyne, a PhD candidate at the University of Montreal. The research is being presented Sunday at the Neuroscience 2013 Congress in San Diego. They decided to take their research a step further to see how mom’s activity influenced her baby’s cognition. Labonté-LeMoyne and her colleagues examined two groups of moms, 18 women total, starting in their first trimester and ending when their babies were between eight and 12 days old. The researchers randomly assigned the women to either a sedentary group, with no exercise, or an active group, where they exercised at least 20 minutes a day, three days a week, for a total average of 117 minutes per week. Eight women remained inactive and 10 women exercised by walking, running, swimming, or doing anything that raised their heart rates. After the women gave birth, Labonté-LeMoyne and her colleagues used an EEG, which measures electrical activity in the brain near the scalp, to record brain activity. The researchers wanted to see how the newborns’ brains responded to a beeping noise when it suddenly changed in pitch. The children of mothers who exercised responded more efficiently — and in a more advanced manner — than the children of the sedentary moms. “If [the babies] are able to discriminate sound better, it will be good when [they] learn language and speak and [they can] learn words so [they] can shape the sounds better. You can see in the exercise data that they are more advanced to determine [sound differences],” Labonté-LeMoyne says. And, she noticed that moms who exercised just felt better. While pregnant they reported less severe morning sickness and after baby, they seemed to recover faster and sleep better. “The overall health of well-being of the mom transfers over to the well-being of the baby,” says Starck. Moms that exercise during pregnancy gain a healthy amount of weight, have babies with healthy weights, experience less postpartum depression, and sleep better. “We had a couple of women who went to belly dancing class and show shoeing … we did have quite a few who did some weekly yoga. If it was under the intensity threshold [then] we did not count it simply because it [activates] a different pathway,” Labonté-LeMoyne says. “I think that what [this study] does is that it confirms and can reaffirm moms [that] staying active and healthy during pregnancy is good for mom and baby,” says Starck. When she was pregnant with each of her four children, she’d bike or run three to five miles several times a week. 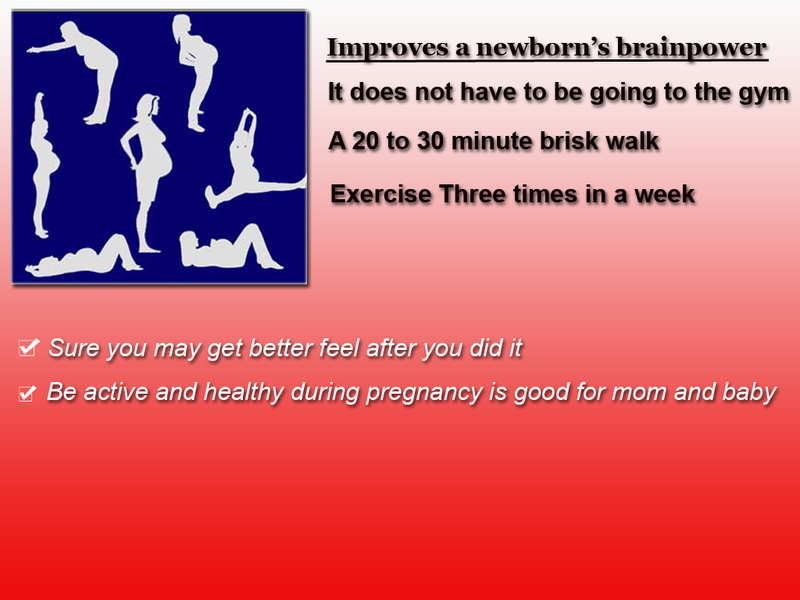 This entry was posted in Health News and tagged baby's brain, born baby brain, Brain, brain activity, during pregnancy, exercise, healthy baby, improves baby brain, improving brain, Pregnancy, woman, women, women-exercise.